The Snowbirds Are Coming! The Snowbirds Are Coming! Allow us to play the part of Paul Revere and announce to the auto shipping nation that in January … the snowbirds are coming! Pretty safe prediction because it happens every year. 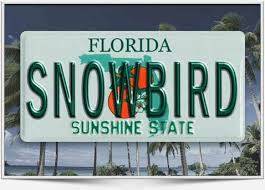 For those of you possibly unaware, “snowbirds” are people from the northern states who migrate south in the winter to the warmer states. Most snowbirds are retirees or senior citizens, but not all. Some people simply have the luxury of continuing to work from a warmer location. They come from New England (Massachusetts, New Hampshire, Vermont, Maine, Rhode Island) and the eastern seaboard (New York, Pennsylvania, New Jersey, Connecticut, Maryland, Delaware, D.C., Virginia). The Midwest too (Michigan, Ohio, Illinois, Indiana, Wisconsin, Minnesota, Iowa and Missouri). Some are from the Plain States and Pacific Northwest. Those are the cold weather regions where the winters can be long and harsh. The snowbirds say, “deal me out”. 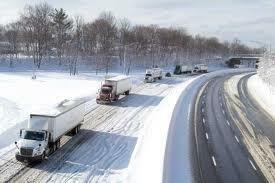 What States Do Auto Shipping Snowbirds Flock? What Happens Every January In Car Shipping? Car Shipping in January is the best of times … and the worst of times. What happens every year is that people start booking their vehicle shipments right around the holidays, Christmas thru New Year’s. The drivers have families too and value their time home just like everybody else. There is a distinct drop in the number of vehicles dispatched and on the road the last ten days of December. But the orders from customers begin to mount, and most prefer the first date available to ship their cars, SUV’s, mini-vans, pickup trucks and more to be just after January 1st.. 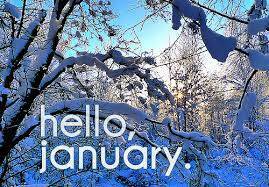 If they hadn’t already done so, customers call or go online to book their vehicle shipment the first week of January. It becomes an EXPLOSION of vehicles on the central board. Let’s break down January week by week. Second week of January: The number of vehicles waiting to ship is at 170% of normal capacity. That means there is still upward pressure on pricing. People cancel their orders with the low-ball brokers and find the reputable auto transport brokers (read Direct Express) to price their vehicle proper for timely shipping. The system still has not flushed out the excess inventory of vehicles, as carriers are racing up and down the I-95 corridor and I-75 to fill up and do it again. And again. And so it goes.